Steel frame and aluminum boat docks custom made to suit your needs! 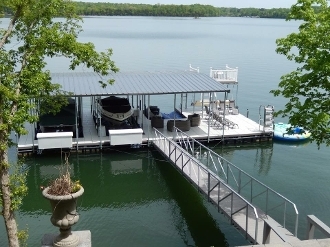 Whether you need a small steel platform or gangway up to a full custom multiple-slip dock, complete with installation. All docks are fabricated specific to the customers needs and desires. Please call 931-261-0197 or email sales@discountdocksupply.com for a quote or more information.